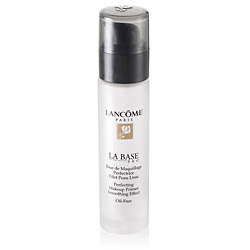 While doing some research for a project I'm involved in, I have discovered an AMAZING product, Lancôme LA Base Pro. I'm usually not a big fan of using make up primers. Most often I feel like just moisturizing is enough, but this product really makes a huge difference. It diffuses light to give the illusion of perfect skin, and also helps to mattify skin, while helping the make up last longer. This is totally my new obsession. 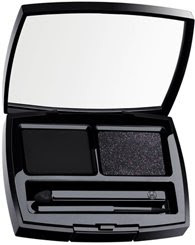 I am completely totally obsessed with Chanel's new eyeliner duo. It glides on so beautifully, and it comes with this amazing little eyeliner brush that I wish they made in a bigger size! 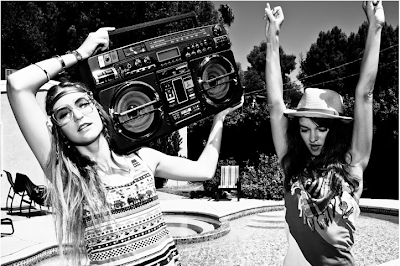 Here are a couple cool out takes from an advertising shoot I did recently with Brooke Nipar. I always love it when Brooke comes to town! Head over to 8ty8beauty.com to get them for a great price! Here's a really cool video NARS sent me. I'm always fascinated to watch the transformation of a face, but what is really notable here is the make up artists use of his HANDS! I find a lot of make up artists are scared to use their hands, but I feel like make up goes on so much better when using your hands to warm the product and blend! As promised, here's the full layout of Uffie for the cover of NO. magazine. I hope you love the pictures as much as I do! NO. is a really cool magazine! It's hard to find, but if you see it on news stands I highly suggest you pick it up! One of my favorite ladies of all time, Stevie Nicks, interrupts her make up artist and breaks out in song. How cool would it be to do Stevie Nicks make up and get a private concert? I got to go to the VMA's on Sunday with a freaking awesome band... The Ting Tings! They performed on the show and won the award for best UK video! After that, they performed 4 songs at the after party. I have the coolest job in the world sometimes! I got to work with them again last night and had a blast! Check out their music ASAP! Who watched 90210 (2.0) tonight? If you did, you saw my friends Mark "The Cobrasnake" Hunter, and Cory Kennedy! It seems like now would be a good time to show you the cover of RUSSH Japan that I did with Cory, shot by Mark! It's not out until Sept. 12, but Cory has it as her myspace default so I figured it was ok. ;) I'll show you the rest of the shots on Sept. 12! I recently did Uffie's make up for the cover of NO. magazine. I LOVE IT! I wasn't going to show you guys yet, but NO. put the cover up on their myspace page. I'll show you more of the layout later in the week! The photos were shot by Mark Hunter, and it's beyond beyond!